What do you think of when you hear those three simple words? Do you believe they are true? 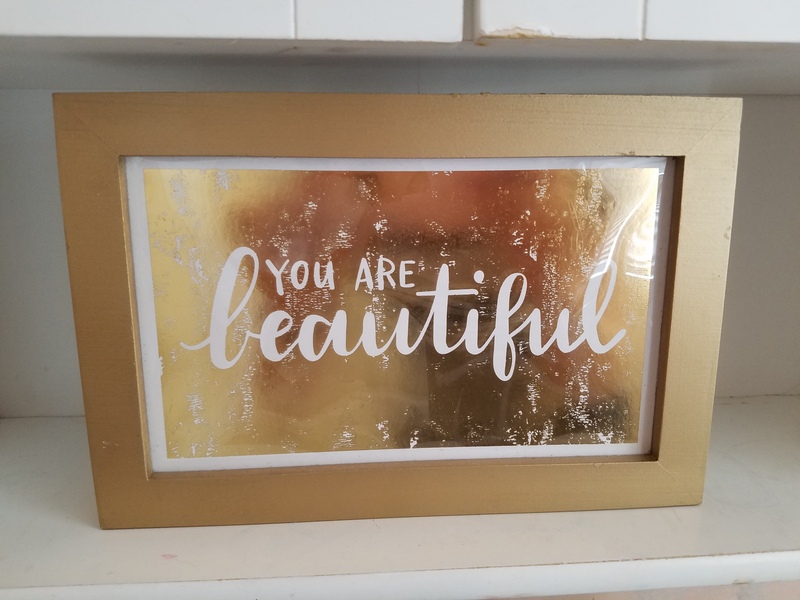 You probably have been told by others that you are beautiful. But what about yourself? How many times have you told yourself that you are beautiful? Sometimes you just need to hear the words from your own self. This is what I want you to do right now. Go to the closest mirror. Look at yourself in that mirror. Say these simple words to yourself. Now don’t you feel much better after you have said those simple three words? I am beautiful. It is very important to love yourself for who you are. On days that you need a little encouraging, go back to that mirror and say those three words again. I hope I have inspired you today to remember to love yourself and always remember you are beautiful. Previous Post What Makes Kids Happy? Such a great, timely reminder. I saw a photo of myself yesterday and I was so happy with how I looked back then! At the time I was so self conscious about how I looked. It made me think I need to get in more photos regardless of how I feel physically – when time passes and I look back I want to know I have those memories, not hide away for something that may not be relevant in years to come. It’s so easy to feel self conscious about yourself. But you need to not listen to yourself and be happy the way you are. Love yourself. I totally believe in loving ourselves. I am fortunate that my parents told me often and despite being plus size I try to tell myself often. Great post, I know it’ll help girls out there! Glad you liked it! Loving ourselves is very important. I’m glad you did! You never know who it may help. I needed to read this today! Thank you 💕 Some day’s get long, and self worth is easy lost. I’m glad it helped you! Hugs to you! You are so right! Thanks for the reminder! We definitely need to remember to be our own best friends first! You’re welcome! Sometimes we just need the encouragement and remember to love ourselves too. I agree! Everyone is beautiful in their own way!